THE BIG IDEA: Senate Republicans have privately polled for months to figure out the best way to survive if Donald Trump continued to be a drag on their down-ballot candidates. 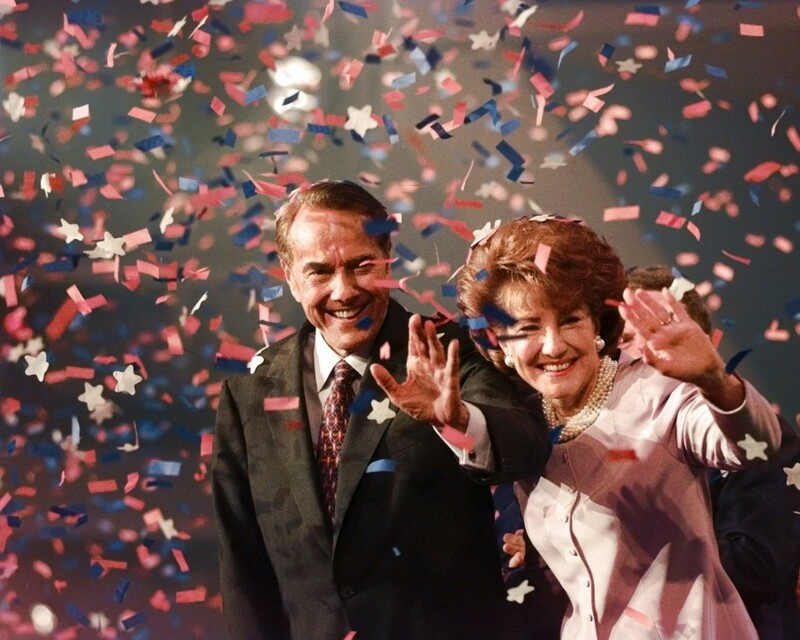 They’ve closely studied the lessons of 1996, when the GOP gained Senate seats even as Bob Dole lost the presidency. They’ve weighed the risks of turning off portions of their base against the rewards of winning over voters who are repulsed by their nominee. Ahead of Labor Day, which marks the start of the fall campaign, Republicans across the country are beginning to put the plan into effect. The video, which makes no mention of Trump, is the clearest signal yet that some Senate Republicans in tough races will more visibly break with the nominee in the coming weeks. It posted online just one day after McCain won a competitive primary and within hours of the presidential nominee delivering his hardline immigration speech in Phoenix. McCain skipped that event, opting to stay at his ranch 115 miles to the north in Sedona. A CNN poll released last week put McCain up 13 points (52-39) and Trump up 5 points (49-44). 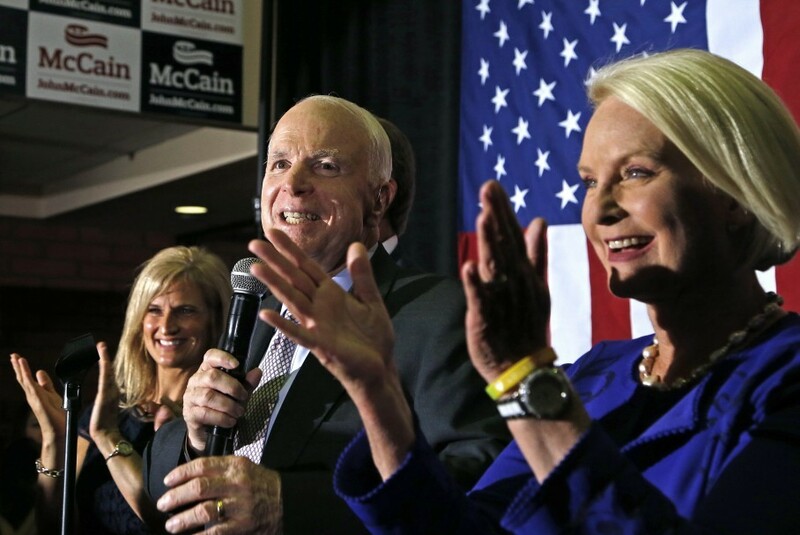 But McCain’s own team cautions that the race is closer, and a subsequent survey conducted by the Democratic firm Public Policy Polling, albeit for a liberal interest group, found McCain tied with Kirkpatrick (43-43) and Trump up 3 points (46-43). -- Republicans have launched two other ads this week that use Clinton as a foil. 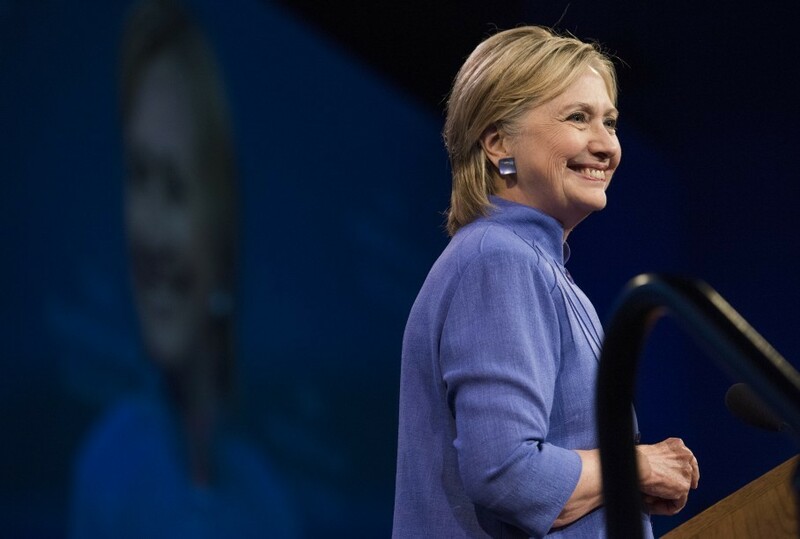 -- In both Arizona and nationally, most voters believe Hillary will ultimately win. This makes the check-and-balance argument more palatable. McCain’s strategy is to talk about Trump as little as possible. His new video notably is not a paid advertisement. In some ways, it feels like a trial balloon. In other ways, it feels like a way to telegraph to outside groups how the campaign wants them to approach the next nine weeks. -- Ann Kirkpatrick, his centrist Democratic challenger, has hammered McCain relentlessly for supporting Trump. A recent web video contrasted the senator endorsing the GOP nominee against Trump accusing McCain of not being a real war hero, failing veterans and being a “dummy” because he finished near the bottom of his class at the Naval Academy. “The biggest vulnerability I hear about John McCain is that he didn’t stand up to Trump when Trump insulted him. People are just saying: ‘If he doesn’t stand up for himself, he won’t stand up for us',” Kirkpatrick told Politico this week. -- Sensing opportunity, the Clinton campaign has decided to spend six figures, beginning this morning, to run its own TV commercial in Arizona. It’s one of just nine states in which the Democratic nominee is advertising. They’re also investing in a field operation, and her strategists say they are closely monitoring polling to see whether a bigger play is warranted. A coalition is also aggressively trying to get 75,000 new Latinos on the rolls by November, and all the major Spanish-language channels have agreed to run at saturation levels a public service announcement urging Hispanics to vote. -- Not coincidentally, 1996 is the last time Republicans employed this strategy of running as a check-and-balance on the likely Democratic victor. Back then, they waited until mid-October to start. But that was before early voting was common, so GOP strategists do not feel like they have time to waste. -- If the election was today, Republicans would probably lose the Senate. Assuming Tim Kaine becomes vice president, Democrats need four pick-ups. Yesterday Larry Sabato and his handicappers at the University of Virginia moved five races towards Democrats. Indiana, New Hampshire and Pennsylvania went from “toss-up” to “leans Democratic.” Illinois and Wisconsin moved from “leans Democratic” to “likely Democratic.” Ohio and Florida, where Rob Portman and Marco Rubio are running good races, moved from “toss-ups” to “leans Republican.” Nevada, the only competitive race where Democrats are playing defense, is tied and could go either way. And the map continues to expand in surprising ways, with states like Missouri and North Carolina looking more competitive than expected. Sabato also moved Georgia Sen. Johnny Isakson yesterday from “safe” to a “likely” hold. 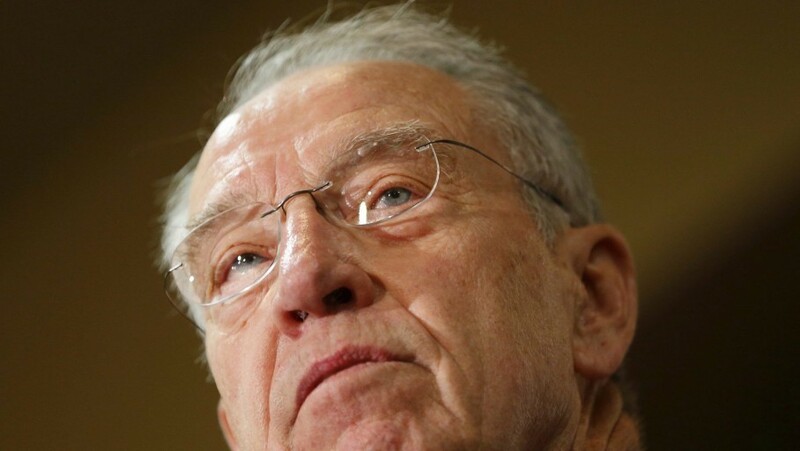 -- Another very telling sign of how scared Senate Republicans are running right now: Iowa Sen. Chuck Grassley, seeking a seventh term, has never been reelected with less than 64 percent of the vote. But the latest CBS/YouGov poll puts him in dangerous territory: up just 7 points (45 percent to 38 percent). So this week he launched his first negative ad since 1998. -- What a year: More has been spent in 2016 on general-election broadcast television ads targeting Senate contests than on those for the White House race. Bloomberg’s John McCormick, using data from ad-tracking firm Kantar Media/CMAG, tabulates that $129.3 million has been spent on the general-election phase of 18 Senate races, compared to $128.4 million that's been plowed into TV ads for the presidential campaign. At this point in 2012, $350 million had been spent on general-election ads for the presidential race, while just $70 million had been spent on 22 Senate races. In 2008, it was $127 million for the presidential compared to $20 million for 15 Senate races. Overall, this year, 165,123 broadcast television spots have run in Senate races and 147,299 have run in the presidential. No one would have predicted that discrepancy a year ago. But Trump has spent little on TV ads, and deep-pocketed conservative donors, including the Koch network, are steering clear of the presidential altogether and investing their resources in trying to save the Senate for Republicans. C-SPAN’s Steve Scully will serve as backup moderator for all the debates. 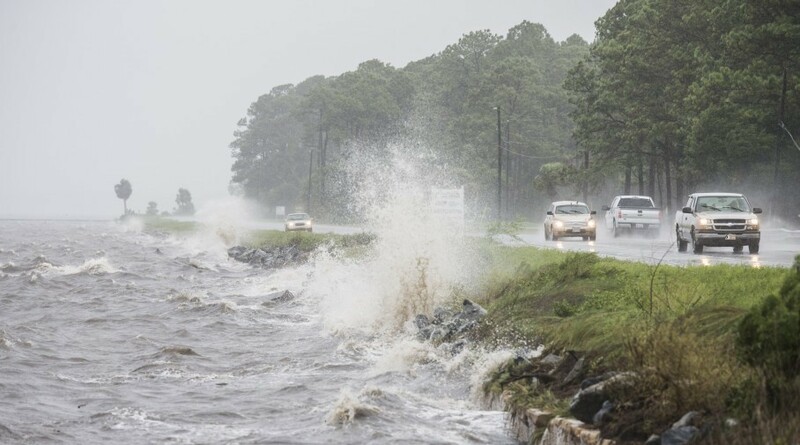 Just before dawn, the storm was centered about 20 miles west of Valdosta, Ga., and moving north-northeast near 14 mph on a path that was expected to follow the Atlantic seaboard to North Carolina before moving back into the open ocean. Officials in Florida’s Pasco County said coastal flooding forced at least 18 people from their homes. Torrential rain lashed parts of Florida with more than 22 inches drenching Oldsmar, about 10 miles northwest of Tampa, and more than 15 inches of rain hitting nearby Largo. In Georgia, power was cut to more than 30,000 homes and businesses. Hermine is the first hurricane to hit Florida since Wilma in October 2005. -- In an interview with Bloomberg, Vladimir Putin called the hacking of the DNC a service to the public but denied the claims of U.S. intelligence agencies that Russia’s government had anything to do with it. “Listen, does it even matter who hacked this data?’’ Putin said in an interview at the Pacific port city of Vladivostok on Thursday. “The important thing is the content that was given to the public.’’ The emails dropped on the eve of the Democratic convention. “There’s no need to distract the public’s attention from the essence of the problem by raising some minor issues connected with the search for who did it,” Putin said of the DNC breach. “But I want to tell you again, I don’t know anything about it, and on a state level Russia has never done this.” He talked for two hours and, trying to troll Clinton, expressed faux outrage that the party tipped the scales in her favor over Bernie Sanders. -- Emails released yesterday by the conservative group Judicial Watch that seek to prove that the State Department offered favors to Clinton Foundation donors while Hillary was secretary are not what they seem, Tom Hamburger and Rosalind S. Helderman write: "In fact, many of the emails touted by Judicial Watch concern a once-secret mission to North Korea by former president Bill Clinton that led to the release of two American journalists who had been sentenced to 12 years of hard labor for spying. The highlighted emails centered around a moment widely considered a Clinton success, providing the campaign an opening to chide a longtime antagonist whose ongoing litigation against the State Department has produced a series of embarrassing revelations." -- The State Department promised to give the Associated Press all of Clinton's "detailed planning schedules" as secretary by mid-October. "The minute-by-minute schedules offer a detailed look at Clinton's daily routine during her four-year tenure," the AP explains. "The department has so far released about half of her more complete daily schedule." The agreement was struck after the AP objected to the offer of releasing the schedules by Dec. 30. -- Bill Clinton used taxpayer money to subsidize equipment at the Clinton Foundation and to support his wife's private email server as secretary of state, Politico's Ken Vogel reports: "Taxpayer cash was used to buy IT equipment — including servers — housed at the Clinton Foundation, and also to supplement the pay and benefits of several aides now at the center of the email and cash-for-access scandals dogging Hillary Clinton’s presidential campaign." Vogel notes that nothing done was illegal but the incident points out the blurry lines between the State Dept. under Hillary, the Clinton foundation and the couple's business interests. The money came from a longstanding federal program intended to maintain the dignity of former presidents when they leave office: "The Act authorizes the GSA to fund the pensions, correspondence, support staff and travel of ex-presidents ... But even as the Clintons got rich and grew their foundation into a $2 billion organization credited with major victories in the fights against childhood obesity and AIDS — while paying six-figure salaries to top aides — Bill Clinton continued drawing more cash from the Former President's Act than any other ex-president." -- Vice President Joe Biden would not directly answer when asked whether the Clinton Foundation has been "100 percent ethical" in its practices. Asked on a trip to Scranton, Pa., by NBC, Biden responded to the question this way: "Look, I think the Clinton Foundation like all foundations have found themselves in a position where things are changing, and I think she's gonna change and adjust to the realities of, of how complicated it's all become." 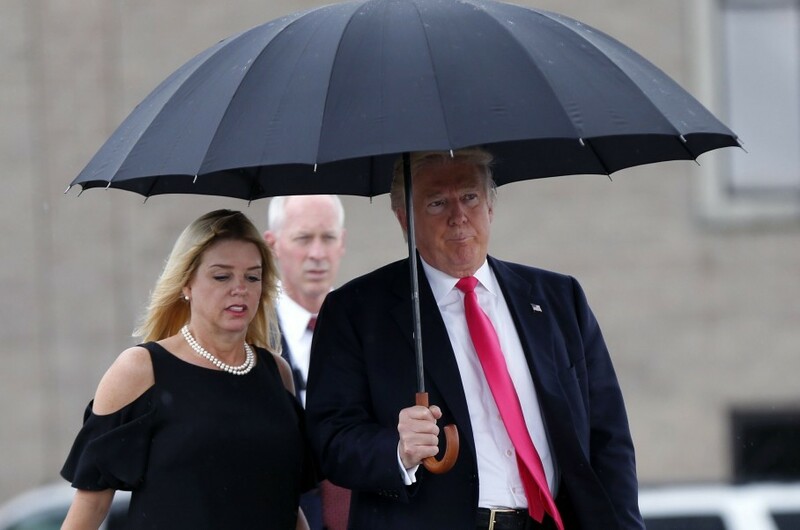 -- Trump paid a $2,500 IRS penalty after his charitable foundation violated tax laws by contributing to a political campaign group linked to the Florida attorney general. From David Fahrenthold: "The improper donation, a $25,000 gift from the Donald J. Trump Foundation, was made in 2013. At the time, Pam Bondi was considering whether to investigate fraud allegations against Trump University. She decided not to pursue the case. ... [A senior vice president at the Trump Organization] said that Trump had also personally reimbursed the Trump Foundation for $25,000, covering the full value of the improper gift." 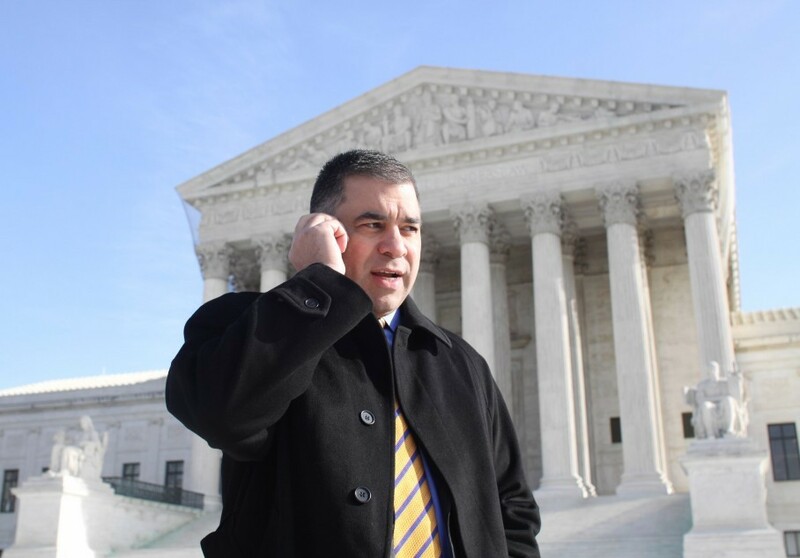 -- Trump hired conservative firebrand David Bossie as his deputy campaign manager, Robert Costa reports. Bossie has spent decades investigating the Clintons and, as the head of Citizens United, spearheaded the watershed 2010 Supreme Court case that opened the doors for a tidal wave of big money being poured into elections. He's a confidant of campaign manager Kellyanne Conway and chair Stephen Bannon, as well as the Mercer family, which is heavily funding Trump's campaign. Bossie is expected to use his years of experience investigating the Clintons -- he left the "Defeat Crooked Hillary" super PAC for his new gig -- to mount attacks on the Democrat and deepen the GOP nominee's ties to the conservative community. Bossie was introduced to his new colleagues as he participated in strategy sessions on Thursday at Trump Tower. Conway said he will help with both day-to-day operations and overall strategy. If you've forgotten Bossie's history, check out this 1997 piece from The Post's archives by Lloyd Grove, who described him as a "32-year-old college dropout and firefighter, the man who has become the nation's leading impresario of Clinton White House scandals": "Bossie lives at Firehouse 15 in Burtonsville, sleeping fitfully between alarms in a Spartan bunk bed. He ran 423 emergency calls last year, everything from delivering babies to dousing house blazes to cutting trapped victims out of car wrecks. But he's far better known as the most visible investigator on Republican Rep. Dan Burton's Government Reform and Oversight Committee. ... Since the 1992 presidential campaign, when he was a top official of the right-wing lobby Citizens United, publisher of the Clinton-bashing paperback, 'Slick Willie' -- in which Citizens United president Floyd Brown called Bossie 'the bloodhound who sniffed out many of the interesting stories enclosed' -- friends of Clinton have had Bossie in their sights." Clinton campaign chair John Podesta did not mince words in attacking the new hire: "David Bossie is so craven and maniacal that in the heyday of the overreaching, Gingrich-era Congress, the top Whitewater conspiracy theorist in the House had to fire him for doctoring evidence. He has devoted his career ever since to trying to tear down Hillary Clinton. For months now, Citizens United has been acting as an arm of the Trump campaign, and this hiring of Bossie now makes it official. This is just the latest sign that Donald Trump has put the most extreme elements of the right-wing fringe in the driver's seat of his campaign." -- Matea Gold takes us inside how how Trump charms wealthy donors -- by seeking their advice: "John Rakolta Jr. was skeptical as he headed to a private meeting with Donald Trump in July at Chicago’s Trump International Hotel ... But the Trump whom Rakolta encountered in a suite on the 27th floor was nothing like the provocateur he expected. 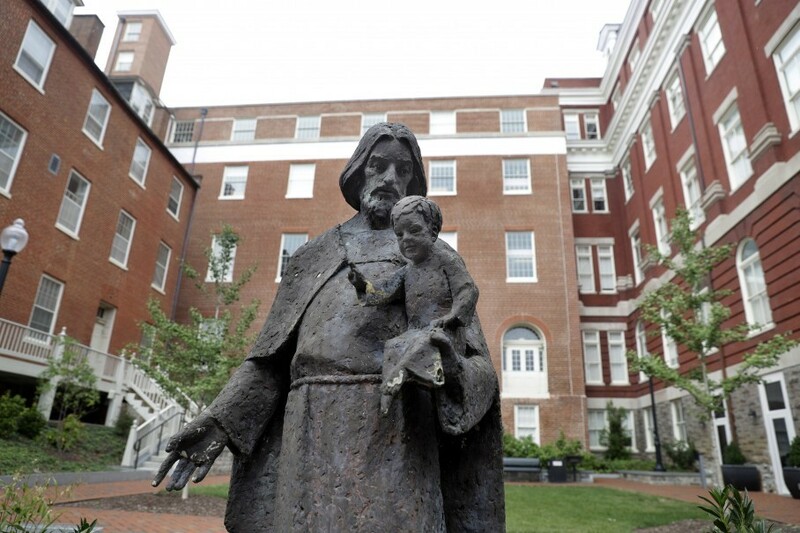 'He is extremely soft-spoken,' Rakolta said. 'None of the stuff that I imagined.' ... Private meetings with top contributors turn into strategy brainstorming sessions. High-priced dinner fundraisers are transformed into impromptu focus groups. 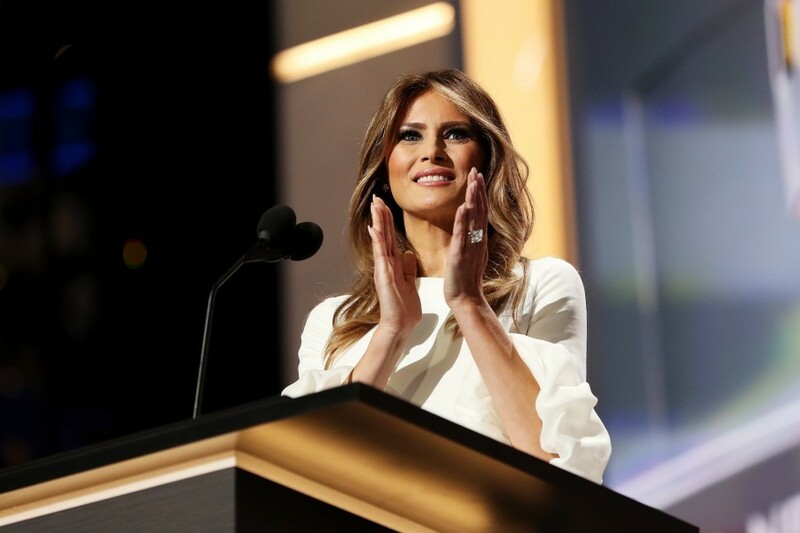 During a July lunch at a Southampton, N.Y., estate, he spent at least an hour asking the 60 heavyweight contributors in attendance to each share their pick of whom he should tap as his running mate. At a photo line with donors in Minneapolis in August, he polled whether he should continue using a teleprompter at public events." 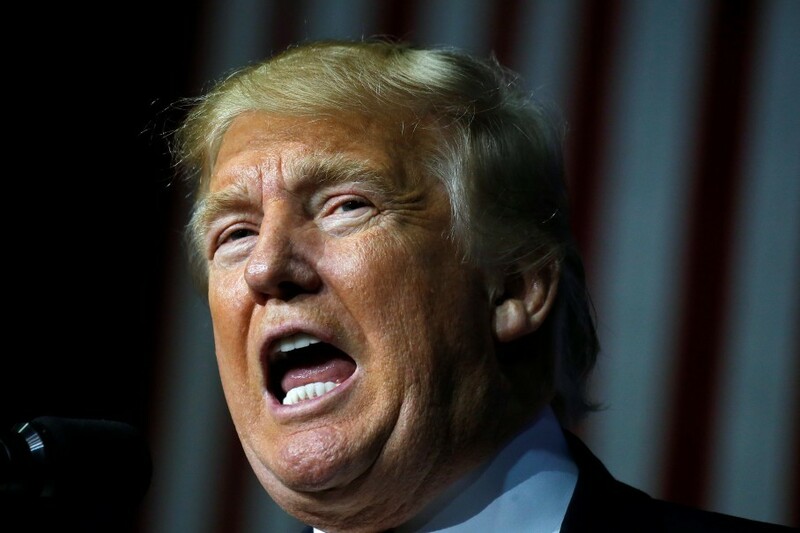 -- A leaked script shows how Trump plans to approach his visit to an African-American church in Detroit on Saturday, per The New York Times's Yamiche Alcindor. Trump is consulting black Republicans in prepping for a closed-press interview with Bishop Wayne T. Jackson of Great Faith Ministries International as part of his ongoing effort to reach out to the black community. "An eight-page draft script obtained by The New York Times shows 12 questions ... intends to ask Mr. Trump during the taped question-and-answer session, as well as the responses Mr. Trump is being advised to give ... When asked about his vision for black Americans, the script suggests that Mr. Trump stay positive, advising that he use lines such as 'If we are to make America great again, we must reduce, rather than highlight, issues of race in this country' and 'I want to make race disappear as a factor in government and governance.'" "To a question submitted by Bishop Jackson about whether his campaign is racist, the script suggests that Mr. Trump avoid repeating the word, and instead speak about improving education and getting people off welfare and back to work. 'The proof, as they say, will be in the pudding,' Mr. Trump is advised to say. 'Coming into a community is meaningless unless we offer an alternative to the horrible progressive agenda that has perpetuated a permanent underclass in America.'" -- Israeli President Benjamin Netanyahu is remaining unusually silent about the U.S. presidential race, refusing to weigh in, per New York Times Jerusalem bureau chief Peter Baker. "The unusual reluctance comes after years of toxic relations between him and Mr. Obama, culminating in an acrid public feud over the American-brokered nuclear agreement with Iran. With Mr. Netanyahu seemingly aligning himself during that fight with Mr. Obama’s Republican critics, some Israel backers feared the country was squandering its traditional bipartisan support. The prime minister now seems intent on extricating himself from the partisan tussle. 'Everybody understands here in Israel that the most important thing for us is to go back to where we were for the last 68 years, which is bipartisan,' said Yair Lapid, a centrist party leader who hopes to succeed Mr. Netanyahu. 'This is why nobody will take sides in a presidential campaign.'" Steve Bannon and David Bossie are going to make a killer movie about the Trump campaign. Just got a phone call that began with "I can't talk to you because we've taken away your press credentials but... "
Today we learned there are two Americas: One that thinks "taco trucks on every corner" is terrifying, and one that thinks: delicious. Nobody hates tacos, but a lot of (white) people are bothered by the increase in cultural diversity -- which manifests in part as businesses. Maybe this was the actual goal all along? Does anyone remember a time when Trump didn't dominate their nearly every waking thought? Because I don't. Interesting thing Ive experienced with Trump: He can't stick w/ any conversation for more than 5 minutes unless he is talking about himself. True psychology: Why does Trump kiss up to Putin? Because Putin said something Trump saw as a compliment of him. That's all it takes. Im still baffled. Trump yesterday said police know where the illegal immigrant criminals are but cant arrest them. Why not? Honest question. The president will fly from Honolulu to Hangzhou, China. The vice president is in Wilmington, Delaware. Trump receives his second classified security briefing in New York City. Chuck Todd will interview Mike Pence in person at tomorrow’s Ohio State game for "Meet the Press." Tim Kaine is going to give “a major national security speech” in Delaware next Tuesday. -- Weathered bolts caused a chunk of the ceiling to fall to the ground at Rhode Island Avenue Metro station, and the station remains closed. “Metro said the defective component was a metal bracket used to fill a 6-inch gap between a platform beam and the escalator support frame,” per Faiz Siddiqui.